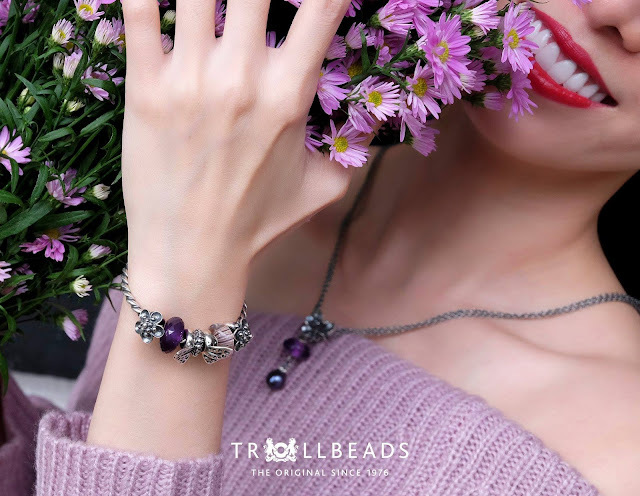 Today I am writing about a jewellery brand called Trollbeads which I just discovered thanks to the Butterfly Project Malaysia. 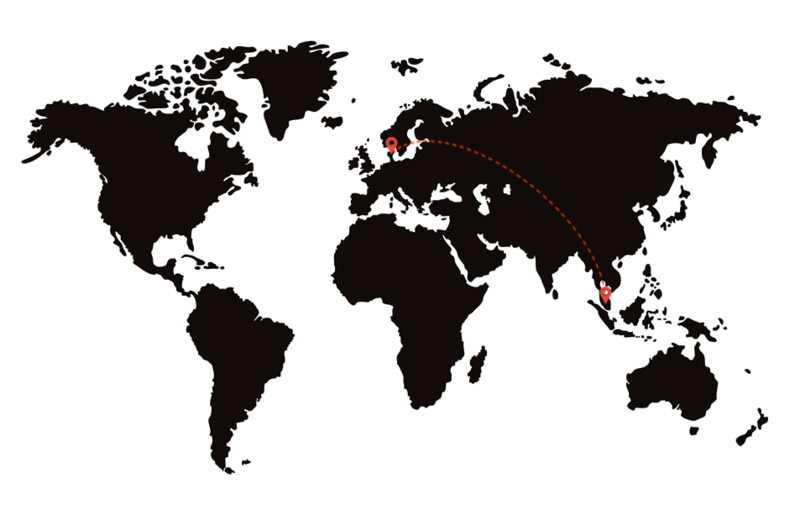 Hailed from Copenhagen, Denmark, Trollbeads is a brand with 40 years long history and has a huge fanbase worldwide. Upon sharing about my new discovery with my then intern Julie who actually came from Denmark; I was told how big and well-established this brand is back in her home country as the original creator of 'beads-on-jewellery' concept. That made me become even more interested to check out the brand since, to be honest, I actually thought that Pandora is the first brand to ever release this kind of jewellery with beads as decoration. I am pretty sure a lot of you out there shares the same misconception so I think this post would be pretty information for everyone! 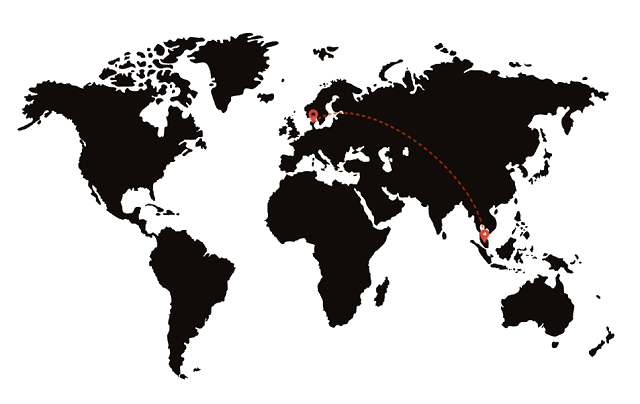 The Trollbeads tale started in 1976, in the city of Copenhagen, Denmark. At the time it was trendy to wear a silver bead accessory that is hanged on a leather cord around the neck but Søren 'Silversmith' Nielsen decided to be different and started to design a sterling silver bead with an opening in the middle instead so that the leather cord can go through it rather than using the conventional way of hanging the bead from an eyelet. It was first sold at his dad Sven's jewellery shop in central Copenhagen and was called Faces; which is an intricately designed bead to depict six different faces of a troll when it's rolled. 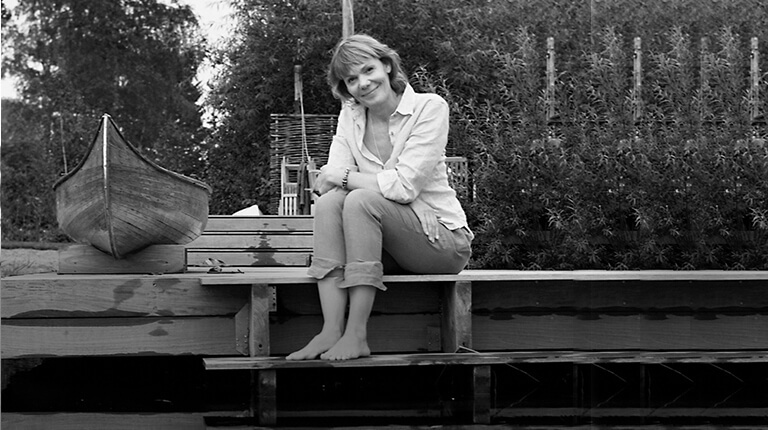 This first design later became the inspiration for the brand name, Trollbeads. Søren's sister, Lise Aagaard, later on, was inspired to replace the leather cord with a silver bracelet meant to be worn on the wrist instead; each of the bracelets is added with only one bead to decorate it. One day, a visiting customer requested for another bead to be added to her bracelet. Despite being uncommon, the requirement was fulfilled by the store and because of that, the concept of beads-on-jewellery was born.Ever since that day the Trollbeads adventure started with more collections and designs being released to customers from different parts of the world. 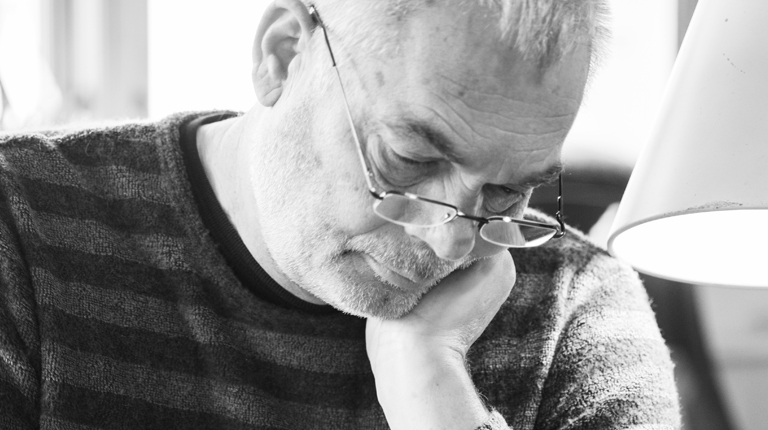 As the brand grows throughout the years, the Nielsen/Aagaard family continue to participate actively in the design and creation process of the beads, even up until the manufacturing stage. A lot of the designs of the beads are done by the family members, especially from the key figures of the brand Søren and Lise. This continues up until the year 2000 until when they decided to expand the brand further by inviting 10 famous Danish jewellery designers to add their own designs to the Trollbeads collection. In 2001, they made another clever move by releasing the new range of glass beads. The collection started to become more customizable with over 600 beads to choose from; each containing their own story taken from different life inspiration and experience of the designers. As I am browsing the website, I notice one unique feature of it that I really like. Under the 'About Trollbeads' tab, you can actually visit their online 'museum' showcasing all of the past Trollbeads designs that has been discontinued; or to be exact is 'retired' if following the term shown on the website. From that, you can actually see the brand's growth over the course of years, different history of the designs and how different the trend is now compared to two or three decades back. 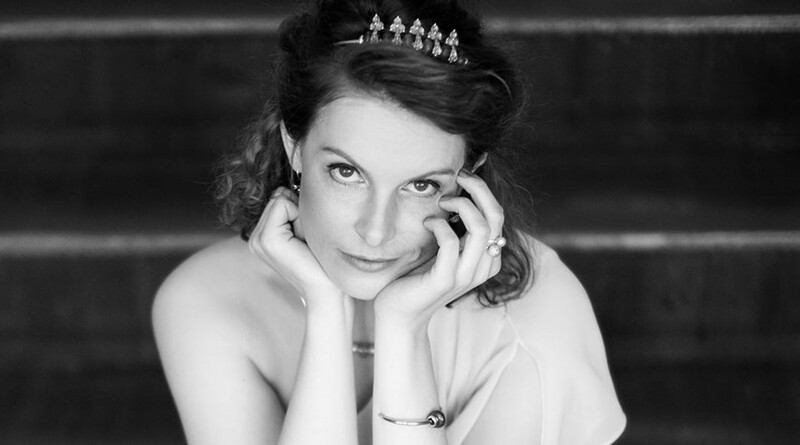 With the glass, gold and pearl beads being released in more recent years, the choices have become really wide which enable customers to personalise their jewellery based on different occasions, personality, and memories. I also love the fact that a lot of their designs inspirations are taken from various elements such as history and culture, mythology, astrology, fairy tales, fauna, flora, and even the smallest details of everyday life. After browsing through the products designs from these respective brands and compiling them together side by side, I can say confidently how much different and unique Trollbeads designs are compared to the other two. It has that artisan and homemade vibe in it, and I also love the fact that Trollbeads have a customizable lock with different designs on it. 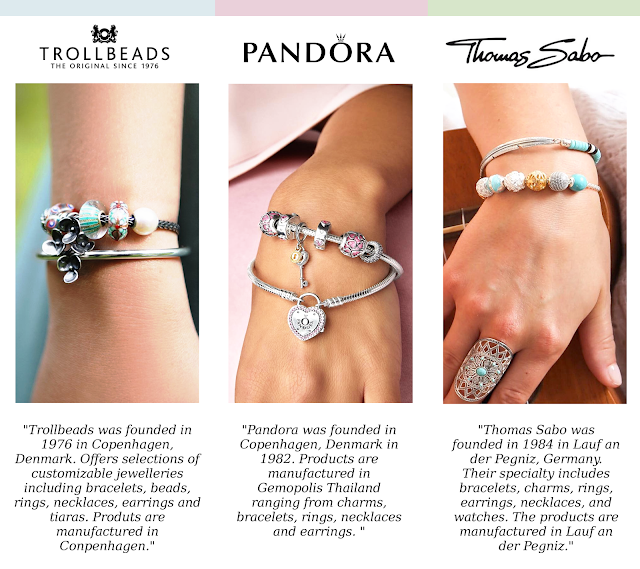 If I have to describe them as a personality, Trollbeads would definitely be that 'nature loving adventurer' type, while Pandora is would 'sweet and feminine' type and Thomas Sabo would be the 'chic, modern and fashionable' type of person. 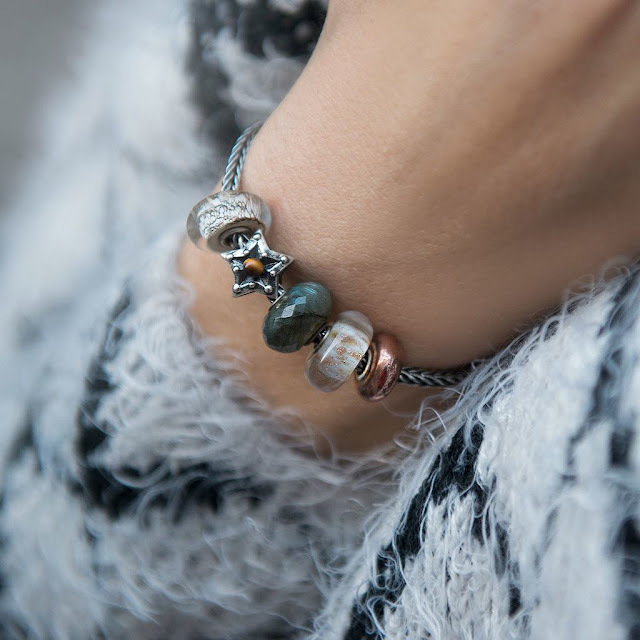 I am totally in love with Trollbeads designs right now! Since each of the beads design is inspired by different stories, folklore, fairy tales etc, every creation would be unique and different from each other. If you know the beads enough, I think it'll actually help to tell the story of the wearer even at the first glance. For example; someone who picks the star design might be someone who loves the night sky. Want to give it to someone as a gift and they're bad at reading in between the lines? 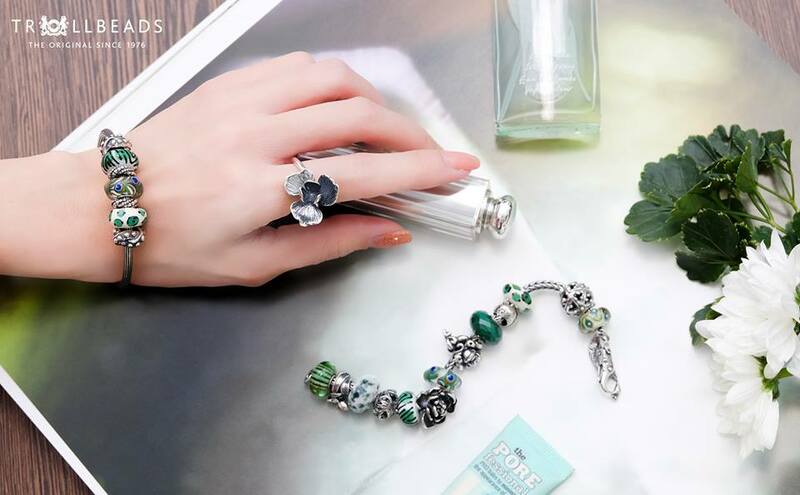 Trollbeads also offers free engraving service for you to engrave your message on the beads (not for Malaysia). 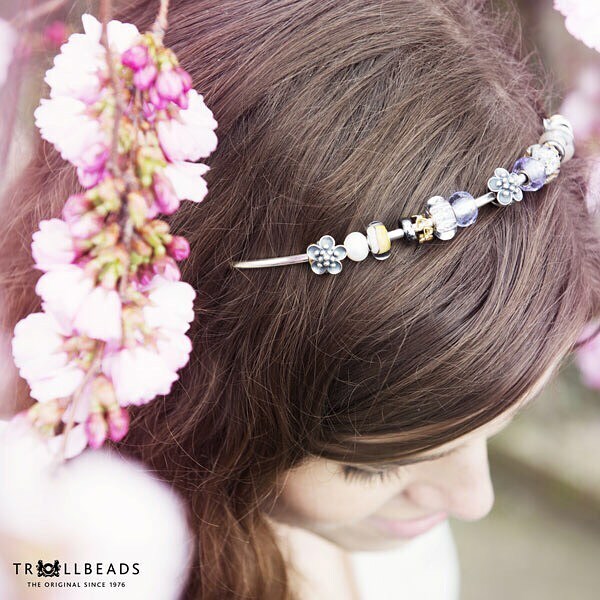 The beads designed by Trollbeads allows it to be customized in different designs including bracelets, necklaces and tiaras. I am especially impressed with the fact that they have a customizable tiara because I've never encountered any other brands that use the same concept! Other than that, they also have a beautiful collection of rings and earrings as well. You can also opt to decorate your creation with precious stones and materials! 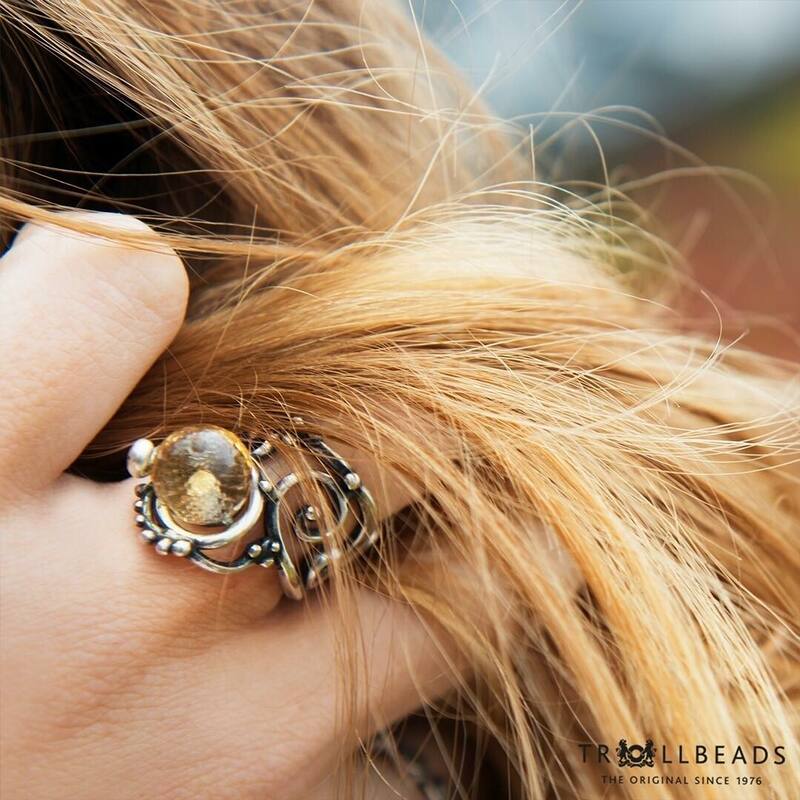 Ever since Trollbeads included elements like pearl, gold, glass and others into the design, the possibility of creation has now expanded. 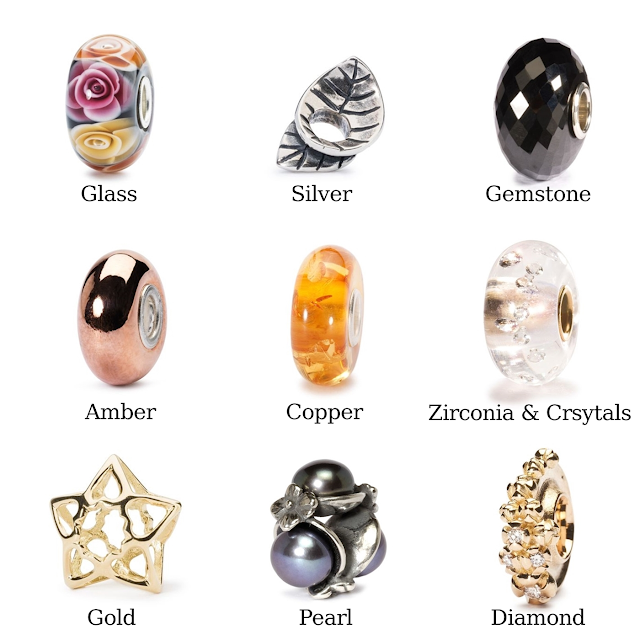 Personally, I think beads made of gemstones would be a perfect addition as it can be used to represent your birthstones. For example; Sapphire is the birthstone of those who are born in September. The beads collections at Trollbeads are always growing as they tend to release new ones on special occasions such as for Valentine's day, Mothers day and Fathers day. There are also designs that is based on the season. Right now I am totally loving the design concept for their Spring 2018 range called the Enchanted Forest. They also have released the new Valentine's collection as well for those who are romantic at heart. After learning so much about Trollbeads, I wanted to create the perfect design that would help to represent my own story. Because the website has so many different designs, it actually took me quite awhile to finalise my selection. I ended up creating two different styles because there are too many pretty beads that I wish I can have! I also like how each bead has their own background story on the website description. 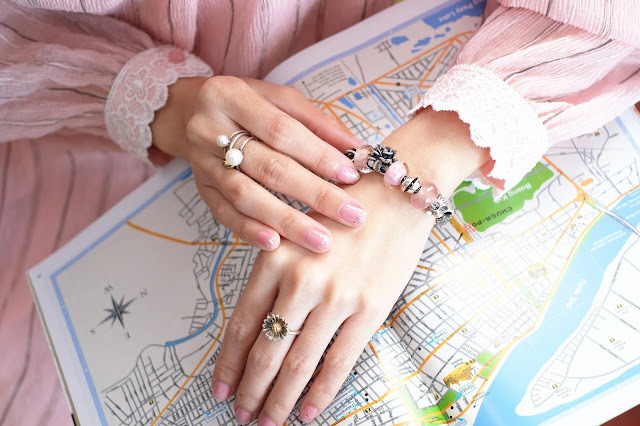 To create my own special bracelet, there are three simple steps to be followed; which is to choose my preferred bracelet type (they have sterling silver, gold and even leather options), followed by the beads that I want and also the lock design to secure the creation. My main creation is called the Shining Star which is designed to represent the fangirl side of myself. I actually had a totally different idea initially but as soon as I saw their limited edition Wishful Sky Bracelet, I knew that this is what I want! I choose silver and white elements to accompany the blue (sapphire blue is Super Junior fandom colour). Shining Star is actually the title of one of the Tracks in their album so I think this design totally embodied that side of me. 1. Lapis Lazuli: Lapis Lazuli brings matters more clearly to the mind. The stone is found in both eastern and western parts of the world. 2. Star of Power: Find an improved vision and gain more power. 3. Faceted Chalcedony: This pale blue stone promotes calm and peace and stimulates creativity. Here the faceted surface reflects the light beautifully. 4. Night Sky Spacer: Great wonders are found in the patterns of the night sky. I had an 'aha!' moment as soon as I saw the Amethyst bead from the gemstones collection because it's actually my birthstone (January/Aquarius) and I have been wanting to have an accessory with it for the longest time. I am calling it January Blooms because the other beads decorating the bracelet is inspired from nature. 1. Amethyst: Purple is the color of inspiration and art. The amethyst helps us realize that the worst limitations are those we impose upon ourselves – and it helps us overcome these in order to grow. 2. Leaves of Love: Use your senses - beauty is all around you. 3. White Petals: Gaze into the heart of this beautiful, white daisy with its soft, blue hue. Each petal is folded delicately around the silver core. 4. Lightning Bud Spacer: Find what lights up your path - and follow it. 5. Flower Lock: Two four-leaf hydrangeas embrace this silver lock. 6. Water Lily Spacer: Like Thumbelina, sail on the Water Lily and open up to new horizons. Address: G1.13A (Ground Floor), No3 Jln PJS11/15, Bandar Sunway 47500 Petaling Jaya, Malaysia. 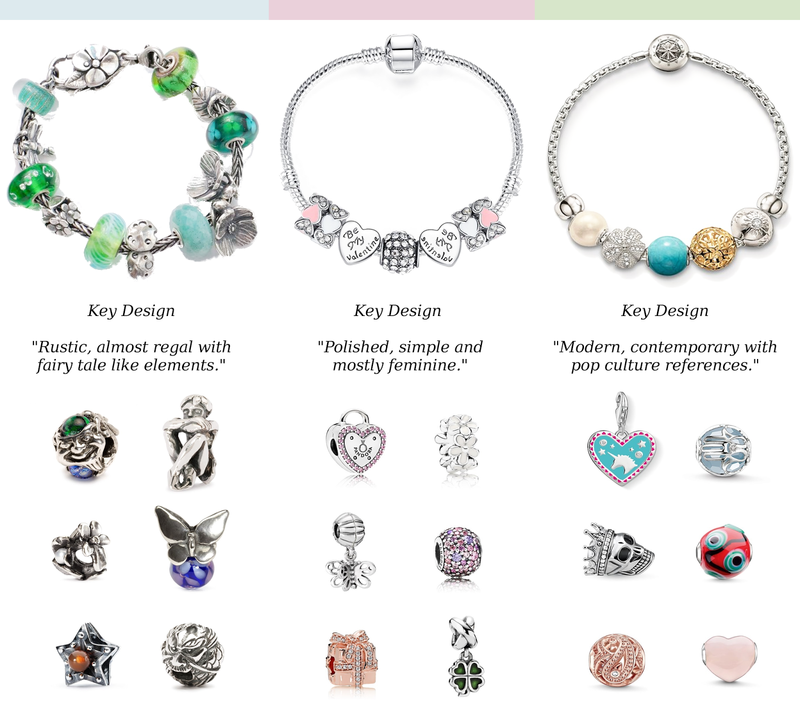 Disclaimer: I do not own any of Trollbeads/Pandora/Thomas Sabo related images above.